Donna Steggs has an incurable illness and needs your help to get a life-saving transplant. You may know a little about our mother, Donna Steggs, but we would like to share more about her with you. Donna is kind and generous to a fault and has always given generously of herself to her children, grandchildren, friends, and her church. Her efforts as a health care consultant and administrator were focused around strengthening services for the patientsâ€™ benefit. But when the time came she stepped away, sacrificing the remaining years of her career to move in with and care for her ailing father until his passing. 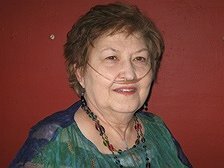 Tragically, Donna was diagnosed with Usual Interstitial Pneumonia, an incurable form of pulmonary fibrosis. Just a few short months after caring for another, she could no longer rejoin the workforce and her retirement, that time of life that we all look forward to and work so hard for, has been given a twenty-four month expiration date. Donna, now on oxygen 24/7, requires assistance for even the smallest day-to-day chores. Her disease and susceptibility to infection have isolated her socially and kept her from being close to her six fabulous grandchildren. There is hope though, as Donna is a strong candidate to receive a lung transplant at the Cleveland Clinic. She is fighting hard and working with her medical team to prepare for this opportunity. But even with her insurance, meeting the cost of this life-saving surgery and anti-rejection medications is a challenge. Having given so much to others, she now has to rely on others for financial help. To help with this financial burden, a fundraising campaign in Donnaâ€™s honor has been established with HelpHOPELive, a 4-star rated nonprofit organization that has been assisting the transplant community for 30 years. All donations are tax-deductible, are held by HelpHOPELive in the New York Lung Transplant Fund, and are administered by HelpHOPELive for transplant-related expenses only. Please consider making a contribution today by clicking the DONATE NOW button. Please share this letter with your family and friends. For someone who gave so much of herself, if we can all give just a little, maybe we can help Donna through this struggle. I received some disconcerting news from Cleveland Clinic: the committee has determined that my caregiver plan does not meet their standards so I will not be recommended for lung transplant. My plan does not include a single caregiver who can be with me 24/7 for the 3 months of post op care. My family was going to do a tag team arrangement; each taking time off from work for a week or two and then ‘passing the baton’ to the next for a week or two. Originally, the one social worker told me this would be okay. Well, this has not discouraged me…I made contact with Ohio State Medical Center located in Columbus. I would stay with me sister and brother in law… 24/7 issue is resolved. But, I have to wait for their program to be approved by Medicare. Without insurance coverage I would not be eligible at OSMC. Prayers needed for me to accept whatever God has in store for me. Present donations are being used for the copays I’ve accrued on all the testing, evaluations, and prescriptions. I’ve updated my goal information. I will be needing approximately $20,000 for pre and immediate post op expenses that are uninsured and $100K for the uninsured portion of the surgery. I can finally announce that I am loosing weight. A cousin recommended the Dr Dukan diet which she used. I find it extremely easy to follow and effective. I’ve been on it almost two weeks and have lost 6 pounds that seem to be staying off. I have another 12 pounds to loose so I can be in the range required by Cleveland Clinic. Just returned from another evaluation session at Cleveland Clinic. The medical updates are… confirmation that my condition is deteriorating I now have 30% capacity remaining in my lungs AND confirmation that I am a viable medical candidate for lung transplant as long as I loose 10 more pounds, On the social side of the evaluation, I need to firm up my caregiver plan and commitment from caregivers or I will not make the waiting list AND I need to raise more funds for the post op care. My next appointment will be scheduled for October at which time I need to accomplish the above or I will be eliminated for waiting list at this time. As you know reaching the weight goals set by Cleveland Clinic surgeons has been a struggle, I’m not there yet but thank goodness I’m moving in the right direction. I will be meeting with my medical team next week and hope to report good news. Is there anyone who would like to host a benefit or fundraising event for my cause? I came across a simple event… cocktail party or BBQ …. something you might host anyway, but the twist is all the invitations clearly indicate it is a fundraiser and to bring the check book. The event is about 2 hours of food and conversation and collecting checks from each attendee made out to helphopelive in honor of yours truly. I can provide you with tax deductible donation forms for businesses that might donate alcohol and food, forms and info sheets for people to do organ donations, and forms for donations to helphopelive. Please sign the guest book as interested or message me on Facebook. May 29 2014. Last week was rough, had a lung infection. When I saw my pulmonologist for a regular appointment on Tuesday, he sent me to the ER for possible pneumonia and admission. However, I was given a battery of tests, no pneumonia, but I received treatment from the hospital’s respiratory therapist. My lung capacity is decreasing, but the tests did not indicate my current capacity. It was 45% last Fall. Since I am still struggling to meet Cleveland Clinics weight requirement, my appointment for May has been cancelled. If I loose 10 pounds we will reschedule for sooner otherwise I will be going for next monitoring and testing session in July. Had a great visit and luncheon with my cousin Jackie and Sandy Roemer. Looking forward to the next lunch time visit…Carol Balaz will be there and I’m waiting to hear who else is coming. These visits are great pick me ups. May 5, 2014 I am back to adding the whey protein to my fruit smoothies. They were too thin without it and not as filling. I am back on two smoothies meals a day and one regular meal of lean meat or fish and appropriate sides. It has been really tough trying to move beyond the present weight plateau. News from Donna: 4/18/14 I am supposed to lose 10 lbs. I have been bouncing up and down ..lose 3, gain 3, lose 3, gain them back again. I was told I would be scheduled to come back to Cleveland Clinic (CC) in 2 months…. that means May. I don’t have the dates yet but I have more tests plus the weigh in . Stopping the protein in smoothie shakes recommended by CC nutritionist. It seems that this might be holding up my weight loss. We’ll see I’ll give it three or four days. I was so sorry to hear about your health condition. You will be in my prayers. Our reunion was a wonderful gift to each other, reacquainting us again. My prayers and help are here for you. Donna, your strength from family and friends will sustain you through this difficult journey. Please know I am here for any needs you have. Donna, This is a lovely, well organized site your family as established including their heartfelt letter. I trust our donations will help you with your journey. You have a wonderful family supporting you. Now your friends will help, too. You are in my prayers, Donna. I know you will keep on fighting. Hoping this campaign will be successful. Wishing Donna a rapid recovery.